Founded in 1984, the Aggressor Fleet has become one of the household names in liveaboard diving. And you can save up to $1500 on their selected itineraries from now until May. Don’t miss out! Their luxurious liveaboards visit more than 30 destinations around the globe, including adventurous destinations like the Galapagos, Papua New Guina and the Cocos Islands. There is something for every type of diver to enjoy. You can now save up to $1500 on selected Raja Ampat Aggressor itineraries, and up to $1400 on selected Indonesia Aggressor itineraries. Looking for a different destination? Look no further. 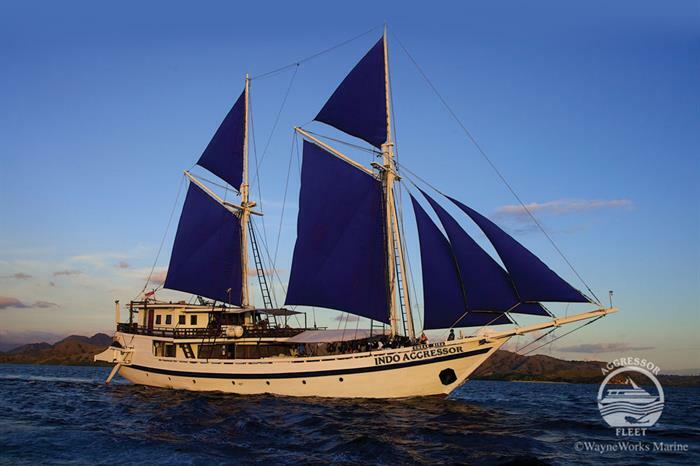 Divers can save up to $1000 on Aggressor liveaboards to Palau, the Galapagos, Red Sea, Cocos Island, Oman, Hawaii and more. In 1984 Paul Haynes converted an oil boat to a diving liveaboard. He hired Wayne Hasson as skipper and SCUBA instructor. That boat became the Cayman Aggressor. Four years later another oil crew boat was refitted and the Belize Aggressor was launched. At that time Haynes set up a franchise operation to grow the Aggressor fleet. In 2017 the company was bought by American businessman Wayne Brown and today he remains CEO with Wayne Hasson as president of the company. The Aggressor fleet now comprises 23 boats.